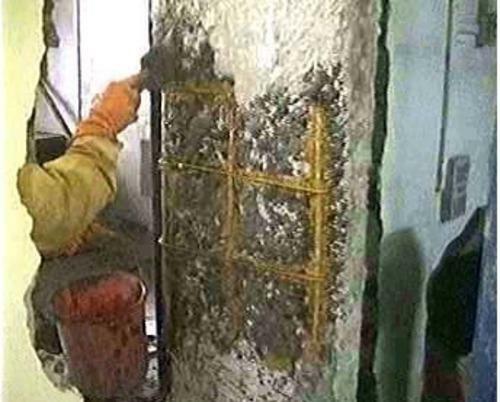 We are engaged in offering Structural Repairs And Restoration Service. These services are executed under the guidance of our skilled and experienced workforce. These services are offered for residential and commercial buildings, five star hotels, industrial units, hospitals, marine structure etc. We use top quality raw material and hi-tech machinery. Our offered services can be availed by clients at industry leading prices. The challenging opportunities and new avenues cropping up in the corporate arena in diverse sectors demands the role of a common mediator to act as bridge between buyers and sellers, importers and exporters, and the like. This service facilitates all in the business world to come to a common platform, thus turning the geologically colossus earth into a tiny global village. Tradeindia is a major entity involved in this task bringing manufacturers, buyers and sellers under one pedestal. Infocom Network Ltd. got established in the year 1990 and is identified by people at large as tradeindia.com thanks to our very popular B2B website of the same name. Launched in the year 1996 to offer the Indian Business community a platform to promote themselves globally tradeindia.com has created a niche as India's largest B2B marketplace, offering comprehensive business solutions to the global EXIM community through its wide array of online services, directory services and facilitation of trade promotional events. Our portal is an ideal forum for buyers and sellers across the globe to interact and conduct business smoothly and effectively. With an unmatched expertize in data acquisition and online promotion, Tradeindia subsumes a huge number of company profiles and product catalogs under 2,255 different product categories and sub-categories. It is well promoted on all major search engines and receives an average of 20.5 million hits per month. Tradeindia is maintained and promoted by INFOCOM NETWORK LTD. Today we have reached a database of 35,82,705 registered users, and the company is growing on a titanic scale with a considerable amount of new users joining/registering everyday, under the innovative vision and guidance of Mr. Bikky Khosla, CEO.